This website started off as a thought experiment to see how far I could take the field of project management and build a independent, project-based career platform on this vertical discipline. At the time I was working as a full-time project manager at St. Jude Medical and realized that I was longing to get back to my entrepreneurial pursuits. This was back in mid-2012 and the company was reeling from a massive lay off of around a third of its employees. It seemed no better time to take action under such circumstances! One of the things you learn in that profession is to mitigate risks, and though my goal was ultimately to be a philosophical writer, I had a feeling that attempting to pursue such an endeavor from the ground up and from scratch would be a high risk. At the time I was married and had “normal” responsibilities such as payments and a mortgage. Furthermore, social media was gaining prominence and seemed a means to brand, market and get your message out to the world with a level of efficiency well beyond past media mechanisms. So I decided to ride on the coat tails of the profession of project management that I happen to be in at the time and wanted to see if I could spin it in a different and unique direction, by using my broad, philosophical interest in many different fields and articulating it in a more integrated and holistic fashion. The endeavor exceeded my expectations and I was able to fashion it into a unique career of consulting, writing, speaking, teaching and evangelizing the field in my own voice. This included of course this very website. But this success came at a price in that I feel too strongly linked to this narrow discipline, which has become even more narrow due to the parallel and paradoxical success of the PMP (The success of this certificate has paradoxically, made it more of narrowly compartmentalized commodity). 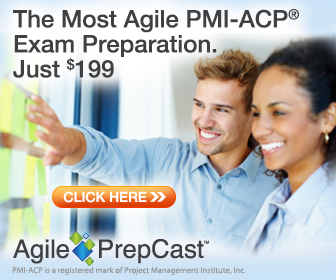 As of now, when you are known for being an expert at project management especially in the US, you are automatically classed within the stifling confines of being an expert at helping people pass the PMP. Even without this constraint, I was already itching to move on, but with it, I’m ready to run for the hills! I guess what I’m really trying to say is that it has been a great ride and that this will be my last post on this site. My final swan song is my book and I will update the support page, including (gag!) the PMP companion guide that’s attached to it but only for the current 5th and to the upcoming 6th edition of the PMBOK Guide. This site will stay up and running for at least the next 5 years, but after that I’ll probably retire it. My focus is going to be on building passive income through my side business ventures and my core focus will be on articulating broader philosophical topics. If this interests you, my media outlet will be located at www.hwadu.org. Thank you and best wishes in your project management (or whatever career path you take) pursuits! ← Speaking at PIHRA Pasadena: Rebooting HR through project management!